Lyme Disease has a lot of misunderstandings surrounding it. In fact, there are a lot of people who have no idea at all what Lyme Disease is and how wide-spread this epidemic really is. Living with Chronic Lyme, I've read through the numbers, looked at the studies, done tons of research to try to find something that might make me feel a little better. But the most important thing I have learned about living with Lyme is that Lyme isn't a death sentence. Lyme disease is caused by bites from ticks AND it has been found in mosquitoes, mite’s fleas and biting flies around the world. Lyme disease is an infectious disease caused by Borrelia burgdorferi, a bacterium classified as a spirochete. There are over 100 strains of Borrelia burgdorferi in the United States, 300 strains worldwide and 5 subspecies of Borrelia burgdorferi. This diversity is thought to contribute to the antigenic variability of the spirochete and its ability to evade the immune system and antibiotic therapy, leading to chronic infection. You can prevent infection by using tick-bite avoidance techniques. When visiting known tick-infested areas like the woods or tall grasses where ticks can crawl onto your body use some sort of insect repellant containing DEET onto exposed skin can help repel the ticks, but wearing long pants and long sleeves can keep them from getting to your skin as quickly. Everyone, including children, and pets should be examined for ticks when exposed to being outside. Ticks can be removed gently with tweezers and saved in a jar for later identification. now I had Lyme Disease until about 10 years ago after I had been diagnosed with a whole grocery list of other conditions. Chances are that I got sick as a kid. I might have gotten a welt looking bite, but then again I was always investigating the woods or outdoor areas and rarely gave it a second thought to have a gash, a nasty bug bite, or hives from something I rubbed against. And the early symptoms of Lyme are more like getting the Flu. 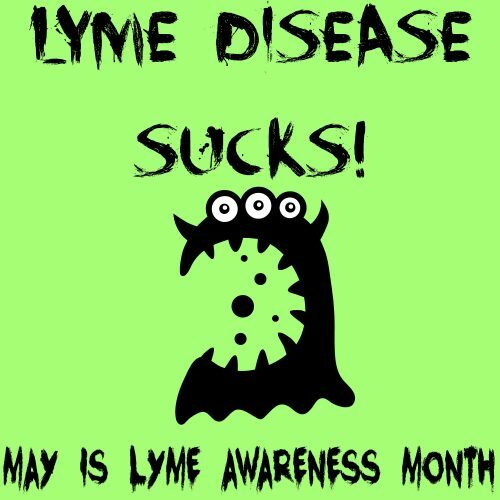 Lyme disease wasn't often checked for when I was a kid and even now, my own children aren't routinely checked for it, except my middle son who actually got Lyme disease when he was 10. Researchers didn’t identify the cause of Lyme disease and connect it with ticks until 1981 and it wasn't until recently that doctors even knew of the tests to run for Lyme disease. Lyme Disease is an epidemic. It's spreading rabidly. Lyme disease is under-reported. Of the reported cases only approximately 23,000 per year meet the strict criteria. The CDC has gone on record saying that they estimate the official cases reported may be 10% of the total number of cases that would be accepted if all cases were reported, so 230,000 new cases per year is possible. Lyme disease is medically described in three phases as: (1) early localized disease with skin inflammation; (2) early disseminated disease with heart and nervous system involvement, including palsies and meningitis; and (3) late disease featuring motor and sensory nerve damage and brain inflammation as well as arthritis. I am somewhere in the stage 3. But I move in and out of flare ups thanks to my doctor and treatments of high doses of antibiotics, physical therapy, massage, heat therapy, and vitamins. If you are treated within the first 30 days of infection, your chances of having serious complications are slim. Within that first 30 days doctors can control this disease, you can greatly reduce the bacteria in your body and allow your body to destroy the rest. Early illness is usually treated with medicines taken by mouth, for example, doxycycline (Vibramycin), amoxicillin (Amoxil), or cefuroxime axetil (Ceftin). Lab tests for Lyme disease are not reliable. A person may test negative for Lyme disease and still have the disease. In 1988 the NY Health Dept. warned physicians that the ‘two-tiered' (ELISA/Western Blot) criterion was missing up to 45% of positive Lyme cases. In 2005, a study by John's Hopkins University concluded that the IDSA-endorsed two-tier criteria was missing 75% of positive Lyme cases. When I took the test in 2003 I tested positive. I've had the test a few times and each time I test positive. This means the bacteria in my body is alive and thriving. acute or current infection may show a higher reading on the IgM test initially. species are currently detected by commercial labs. off and produce toxins which can overwhelm a person's body. We feel sick, some of us feel mentally unstable. I have had moments when I could only describe how I was feeling as I was dying. multiply. Many people who now suffer with chronic cases of Lyme disease were given steroids and are now chronically ill, disabled or have died. If you suspect Lyme Disease, see your doctor immediately and demand that you be tested. Do your research and be prepared. [ Smiles ] Thank you for posting this! Very informative post 🙂 you should check out juicewithdrew.com and watch his intro video as a long term sufferer of illness. He also has a YouTube channel called fit life tv where he routinely posts videos regarding real healthy stuff to set your entire body back into balance. That’s great. Thanks for sharing. I’ll look it up!